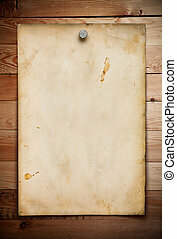 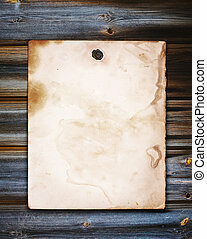 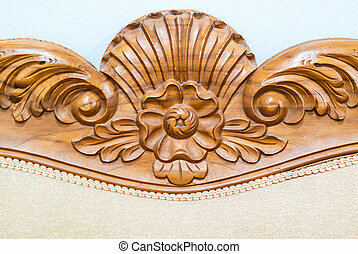 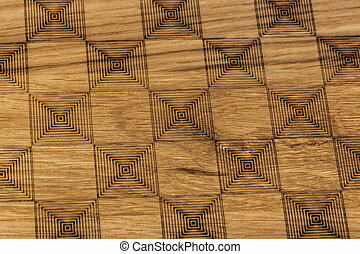 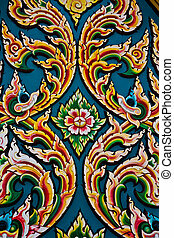 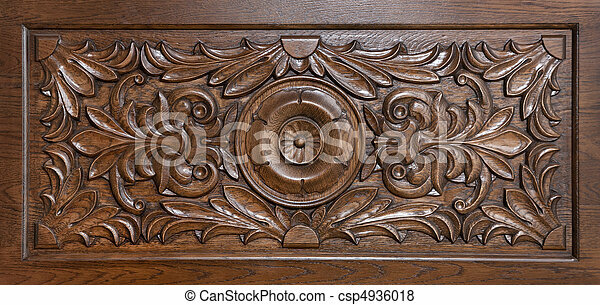 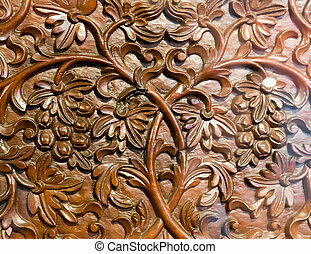 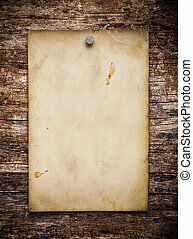 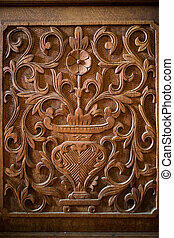 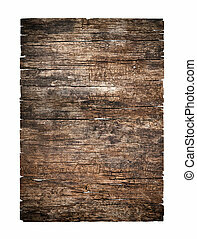 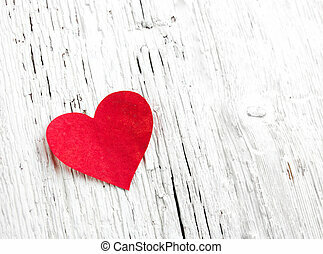 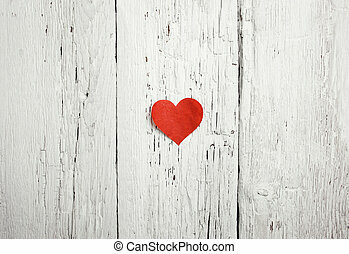 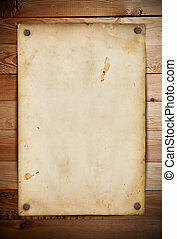 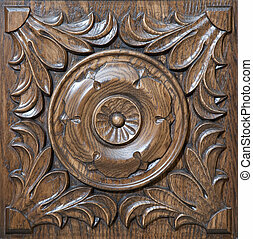 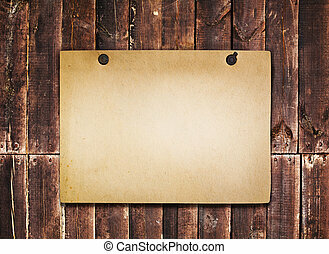 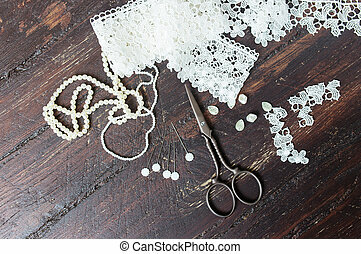 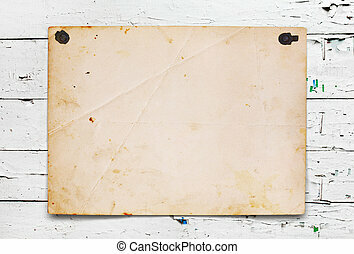 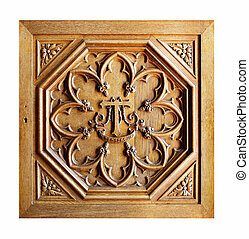 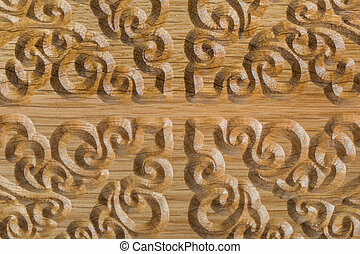 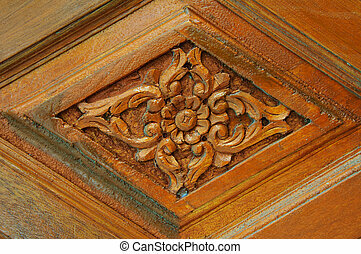 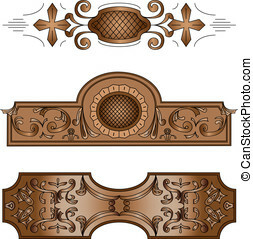 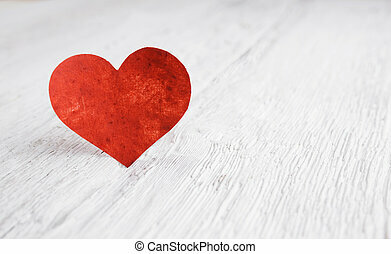 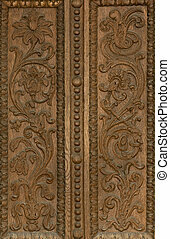 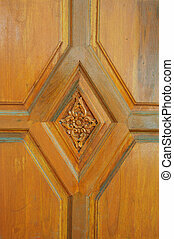 Carved pattern on wood, element of decor. 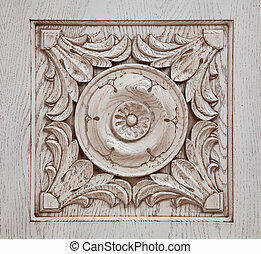 An Wood carved Flower in soft light . 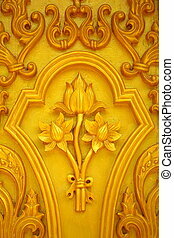 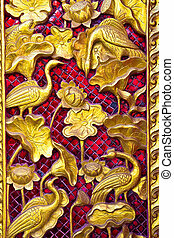 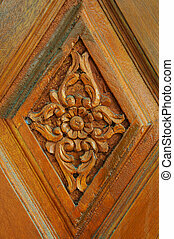 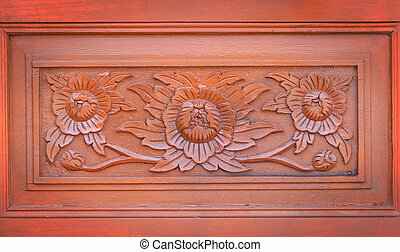 Lotus carvings on the wooden doors of the temple in the Thai temple.